All manufacturer, product and trade names referred to here are the properties of their respective owners. These samples are true samples of the original equipment mentioned. No endorsement by the original manufacturers of Sintefex Audio Products or vice versa is implied. For full details of the FX2000 and FX8000 effects library please download the FXlib pdf listing from the download page. One of the most distinctive sounding equalisers ever made. Not flat but full of character. Features a low frequency section with 4 frequencies, and combined boost and cut controls with different curves. If used together the infamous "pultec shelf" is produced which does wonders for bass end equalisation, allowing lift without low frequncy overload. Midrange section producs lift only with a range of width. The narrower the setting, the higher the possible peak creating a "constant energy" boost. Finally an HF rolloff at a choice of frequencies allows taming of any unpleasant HF arising from middle frequency lift. The old fashioned terms CPS and KCS are use meaning "cycles per seconds" (now Hz) and "kilocycles per second" (now kHz). A rare Neve mic input with one of the first Neve EQ's ever. The simplicity of the HF and LF controls and single MID section with switched frequencies belies the complex sound of this equaliser. The mid section also significantly affects the HF when switched in, even with no lift or cut. Only the unique Replicator modelling can capture this sort of performance of the original device. Kc/s is the old term for kHz. This is a 5-band parametric equaliser with two LF bands, one MID band, and two HF bands. All Q's range from 0.4 to 4 and the extreme LF and HF bands have a clicked shelf setting on their Q control. Boost and cut of 15dB is available, and the frequency is continuous within the range of each control. The LF bands cover 15Hz to 8k, the MID band covers 120Hz to 8kHz and the HF bands cover 400Hz to 26kHz. The sampled simulation gives 4 bands and a switched set of sampled spot frequencies to the accuracy displayed on the original machine. The LF and HF sections cover the same range as the original and provide the full Q range 0.4 - 4 as well as the low and high shelves. The mid band on the simulation includes frequency samples from all the original bands and so covers a full 15Hz to 26kHz. The 4th band of the simulation is an HF shelf only using a subset of the sampled frequencies. This distinctive channel equaliser dates from the ascendency of Neve as the mixing console of choice. It has a distinctive low frequency performance captured in the Replicator sample. It is a 3-band equaliser plus high pass filter (HPF). All boost and cut sections are labelled with 17 dots, 8 on the boost and 8 on the cut side (although this is clearly not related to the boost and cut in dB). In addition the boost and cut controls sweep beyond the marked settings so we have called the extreme settings +/-10 on the simulation. The high frequency section is a single frequency shelf boost and cut. Mid-range has 6 frequencies and an "OFF" setting. The LF section has 4 frequencies and also has an OFF position. The HPF has 4 frequencies and an OFF position. For the simulation this EQ was sampled using both the line input and the mic input set to the -50dB position. The simulation provides a switch that allows the two sets of samples to be compared. The differences are subtle; in the mic position the input transformer is driven less hard and it is likely that additional amplification is switched into the circuit. This multiband EQ features two choices of Q mode, constant and proportional. Some models also have a choice of shelf and bell for the HF and LF section (not documented), but the curves of these models do not always reflect the labelled choice, suggesting there may be a number of variants in the field with experimental sections. The samples are of the settings as selected. A distinctive sounding compressor previously only available to users of this expensive analogue desk. This compressor was sampled from channel input to line output so the signal path of this desk with master VCA enabled is captured. An all valve (tube) compressor using the variable mu principle. This gives it a soft knee characteristic similar to the Fairchild. The signal path is all valve with transformer balanced input and output for smooth performance. A switched slope control labelled "limit" and "compressor" gives some additional control. These are sampled as "limit" and 5:1" curves respectively and of course the Replicator simulation allows you to move smoothly between these and down to 1:1 for critical applications. The threshold of the device varies significantly between the limit and compressor settings and this is faithfully captured in the sampled simulation. This is a modern rebuild of a Pultec 1A-3. All the sections are the same except additional middle frequencies are available. Much flatter response than the Pultec when all sections are set to zero but also much less character in operation. The Replicator simulation has a second version in which the two low frequency sections (boost and attenuation) can have separate choice of frequency, allowing settings not possible on the original gear. A three band equaliser with fixed Q. Low and High frequency sections feature choice of shelf or peak. A High Pass Filter is also available. This is a switch "on/off" on the original unit but the Replicator sample allows this section to be varied continuously between 0.0 (off) and 10.0 (on). A very distinctive desk EQ now much used as an outboard EQ. 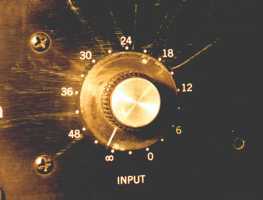 A disitnctive channel strip EQ much used in the 70's and 80's. Gyrator circuits were used to simulate the inductive elements. A modern rebuild of the Pultec with many more frequencies and bands. The Replicator simulation is available in several "subsets" of the original with choices of shelving and peaking sections. This EQ features some very high Q's both on peaks and shelves giving extraordinary resonant "ringing". Features continuous boost and cut with a 40dB range making the original almost impossible to set to the same settings on left and right, or to reset on a session recall. However the Replicator sample is digitally accurate on seting between channels making the interesting sound of this unit much more usable. A unique and rare equaliser from the days when Decca engineers could not get gear good enough for them in the wider marketplace. They innovated many in-house signal paths. This EQ has two bands, bass and treble, each with 6 settings: 3 shelf frequencies and 3 peak frequencies. A unique 32k shelf gives utra fine adjustment at the extremes of hearing with a totally analogue sound. Even the 44.1.kHz sampled simulation accurately captures the in-band effects of the extreme setting with no digital anomalies. Modern precision mastering EQ with featuring a very large range of frequencies but with limited boost and cut of 8dB per section. This allows the analogue unit to be set to precision values - also of course possible with the Replicator sample. Very narrow Q filters sampled in a selection of settings. For special applications. A unique sounding compressor - not a clean sound but great on bass or percussion. It features 4 samples curves of 4:1, 8:1 12:1 and 20:1 but we have also sampled the effect of all the buttons held in - this is selected using the "limit" setting, and a combination of buttons was sampled which can be selected with the 25:1 setting. These capture the distressed sound the unit gives in these combinations. The orignal is very much an "on/off" limiter. However the unique ability of Replicator to interpolate settings allows a compete range of curves, attacks and releases while capturing the sound of the original signal path and limiting curve. Cleaner than the LA-2 but a very popular sound that still wins out over digital compression. A rare and expensive compressor much used in disk mastering since the 50's. Its unique compression curve (which you can recreate by selecting 10:1 on the Replicator simulation) has no real knee but is a continuous curve giving increasing compression with signal level. The curve even bends into slight expansion of the low level signals. Again the unique ability of Replicator to allow you to interpolate the curve towards 1:1 allows you even finer control of the effect that the original unit. dbx compressors always allowed creative possibilities by having attitude rather than cleanness of response. The dbx 160x continued the trend towards creative applications with its dynamic reversal curves which are successfully captured and recreated by the unique Replicator sampling technology. Ultra clean tube compressor with slope up to 10:1. This simple to use limiter gives a clean limiting or compression effect with an indefinable analogue character. A simple limiter with the clean sound of optical gain control. A much sought after channel compressor that comes as close to a perfect analogue compressor as possible for those artistes that demand clean perfection in their signal path. A full range of settings with accurate threshold knees and a rare signal path which was sampled from channel line input to desk group output are accurately captured by Replicator. 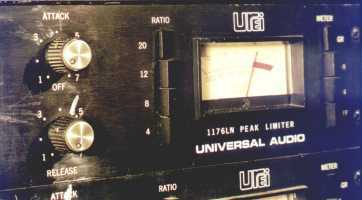 A 1U unit comprising a pair of compressors built by an off-shoot company from SSL to offer the SSL sound as an outboard device. Cheap and cheerful but it sounds good on some material. This mic channel has been sampled using both its line input and mic input circuitry for a sublty different pair of signal path effects. This recreates the compressor sound in either of these two configurations. A modern mastering tube compressor similar in style to the Fairchild but sounds completely different. As with many modern builds it has a defined knee and accurate modern compressor settings. It is respected for its transparency. 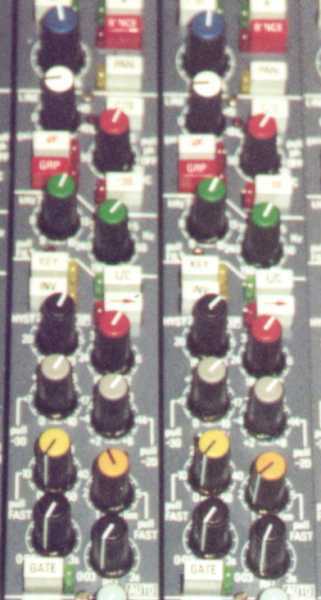 A set of modular compressors built to emulate the SSL "punch" or "crack" to offer the SSL sound as an outboard device. An interesting and very clean compressor built to old Neve standards.